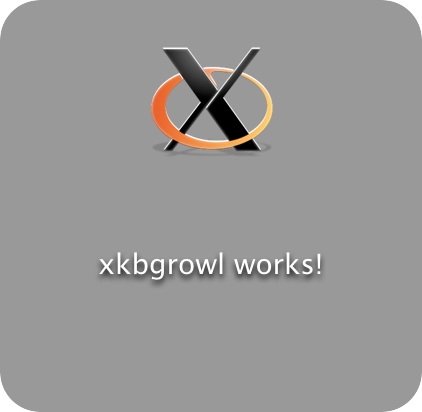 This page describes a small dæmon that reads X11 events (typically generated by the xkbbell command), translate and routes them into Growl notifications. The program currently only runs on Mac OS X, you can download the source code from the github repository, where you will also find the most up to data documentation. Send notifications from any Unix system with X11 installed, including remote systems. Notification volume gets translated into notification priority. Source hostname is automatically extracted and added to the message. If a X11 window identity is specified, window title and icon are used for the notification.